One of the few Bill Murray movies I hadn’t gotten around to seeing, Stripes fully lives up to my expectations as to what an all-time classic should be. Ivan Reitman’s second movie hits all the right marks that a military comedy should strive to hit. 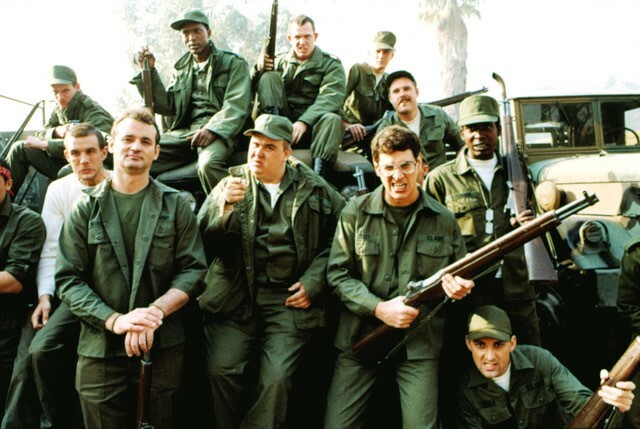 The film also features hilarious moments from a great ensemble cast including Harold Ramis, John Candy, Warren Oates, Sean Young, and John Larroquette. Almost 40 years later, Stripes stands the test of time. Stripes is currently streaming on Netflix. Ryan Reynolds stars in the wild, dark comedy along with Gemma Arterton and Anna Kendrick as he plays an upbeat, schizophrenic man who listens to the voices in his head that are manifested through his pet dog and pet cat. His character is stood up on a date with a coworker, but when she is stranded and needs a ride, the voices in his head take over and he ends murdering her. This is one of Ryan Reynolds’ finest performances in his impressive career, as it allows him to properly balance his comedic style of acting with dramatic acting through the story’s light take on dark themes. 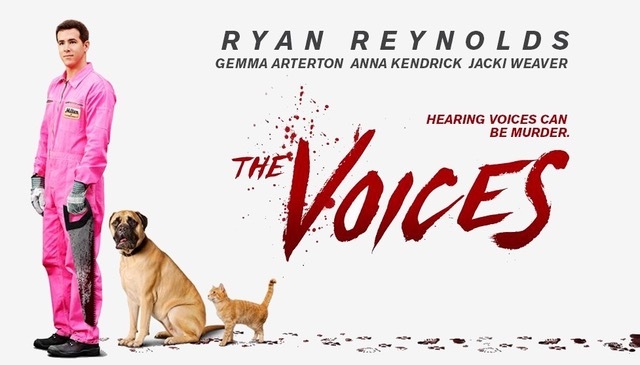 The voices provided by Reynolds, his pets are a definite highlight, as are the performances of Arterton and Kendrick as decapitated heads who are voices in Reynolds’ mind. “The Voices” can be found streaming on Hulu. 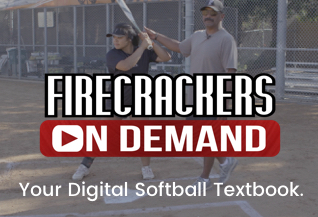 Joaquin Phoenix shines in this fascinating 2013 romantic comedy that was nominated for Best Picture. Set in a dystopian future, Her follows a lonely man named Theodore who develops a relationship with a virtual operating sytstem (voiced by Scarlett Johansson). This brilliant story concept is probably the most unique take on human relationships I’ve ever seen, which is saying something since it’s technically not a relationship between two humans. Phoenix shows why he’s one of the best actors working today and Johansson’s voice work is caring while also heartbreaking. 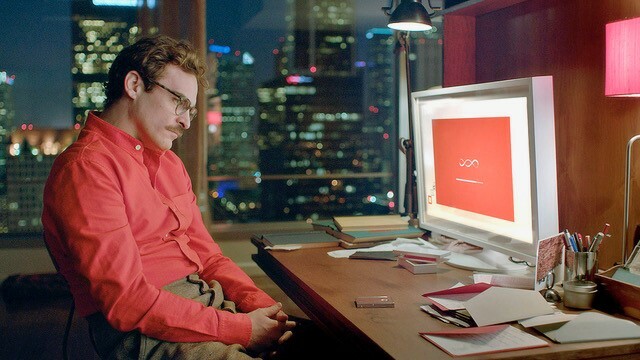 You can find “Her” currently streaming on Netflix. Nominated for Best Picture at the 2018 Oscars, Lady Bird is an extremely well-made comedy starring Saoirse Ronan and Laurie Metcalf as a mother and daughter as they struggle to come to terms with their relationship before the latter leaves for college. 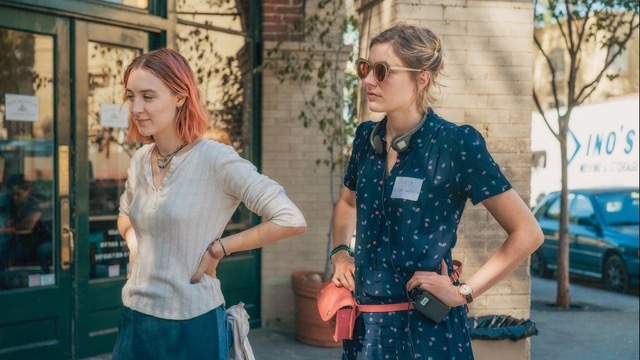 Greta Gerwig’s feature film debut is loosely based on aspects of her own life, feels like the story of a real life family. Laurie Metcalf’s perormance is probably the best of her career as well, as it also nabbed her an Academy Award nomination for supporting actress. It’s a great story about wanting to get away from your surroundings but not forgetting where you came from that made you who you are. “Lady Bird” can currently be found streaming on Amazon Prime Video. This 2005 independent film directed by Noah Baumbach tells the semi-autobiographical story following two brothers as they both deal with the separation of their parents in the mid-80’s. The film is a brutally honest look at what divorce can do to a family. They somehow find a way to make certain situations very funny while also being either embarrassing or tender. Jeff Daniels and Jesse Eisenberg stand out as the better performances in this movie, but Laura Linney also does an exceptional job too. The film also won an Oscar for Best Screenplay. “The Squid and the Whale” can be found currently streaming on Amazon Prime Video. One of two documentaries released in the same week, “Fyre Fraud” tells the infamous story of Fyre Festival, a festival on an island in the Bahamas that turned out to be just a big scam. It is pretty astounding how this entire story unfolds and that it only happened in 2017. The documentary features an interview with the man responsible for organizing the event, and it’s pretty baffling to watch him interpret the events from his point of view. Overall, I felt the documentary had too much of a “Let’s hate on Millenials” rather than telling the story of the people affected by it. 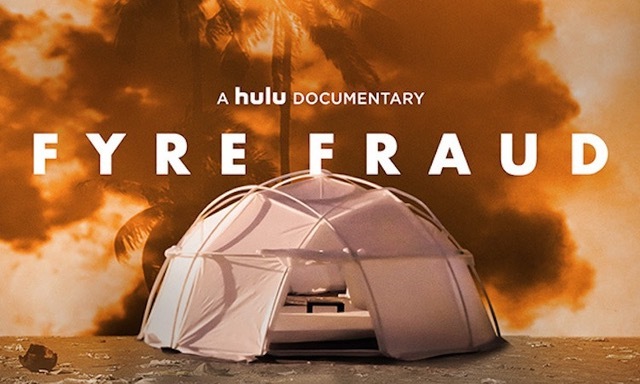 Fyre Fraud can be found streaming on Hulu. Rainn Wilson and Patricia Arquette star in this unfunny story about an awkward family living in a small Virginia town in the early 80’s. Despite Kira McLean’s charming efforts as Aurelie, the movie never seems to reach the potential that it’s cast is capable of. I was not into the over-the-top crude humor presented in some scenes, and the film as a whole felt like a shorter movie dragged out to be longer than it needed to. Permanent can be found streaming on Hulu.